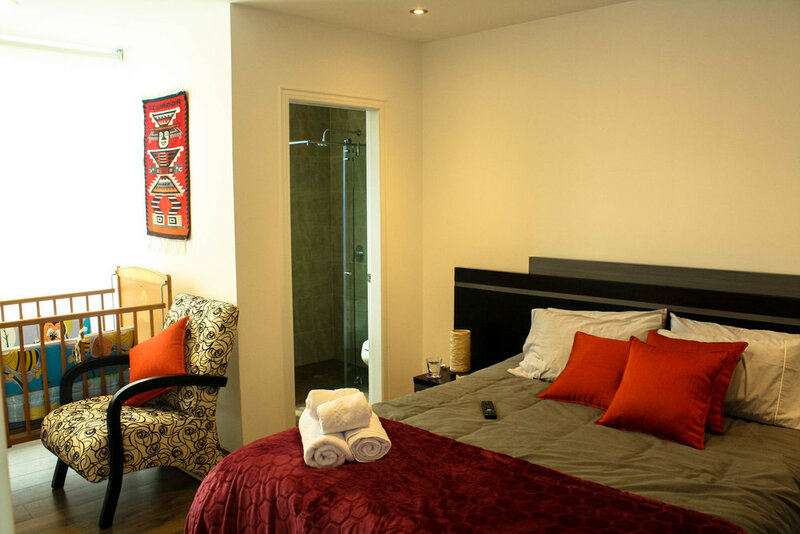 The suites are luminous and have a great view of La Floresta – Quito, every little detail make feel the visitors as they are home even away home. There is a calm and cozy environment inside every room, decorated with a modern and minimalist style. A one room suite that has a kitchen - dinning room, living room and 2 bathrooms, Begonia has a king size bed, closet, and writing desk. Special Ecuadorian Breakfast served each mornig. A one room suite, that has a queen size sofa cama on the living room. Plus you have all the stuff that you need for cooking. Hair dryer on the bathroom, and every little detail you nedd in order to feel like home. With a king size bed, a queen size sofa cama that fit up to four people, It features a dinette set for working or eating, having some fun with table games.